Venezuelan Opposition Leader Juan Guaidó will be barred from holding further public office for 15 years; the maximum allowed by law. The State Financial Comptroller Elvis Amoroso says Mr. Guaidó’s personal financial statements contain inconsistencies. Mr. Guaidó, head of the Opposition-Controlled National Assembly, declared himself Interim President in January. He has the support of more than 50 countries, including the U.S. It is reported the decision to stop Mr. Guaidó from holding office would come into force if he decided to put himself up for re-election at the end of his current term in the National Assembly. 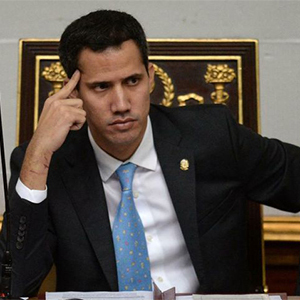 Mr. Guaidó rejected Mr. Amoroso’s announcement, saying he was “not Auditor General”. He said the legitimate Congress is the only one with power to designate an Auditor General.